I just found out. I had not heard the bad news. I was back in Grand Rapids for a friend’s wedding. During any return I must go to a few places Robinette’s, Yesterdog, Monarch’s Club, and the Kopper Top. 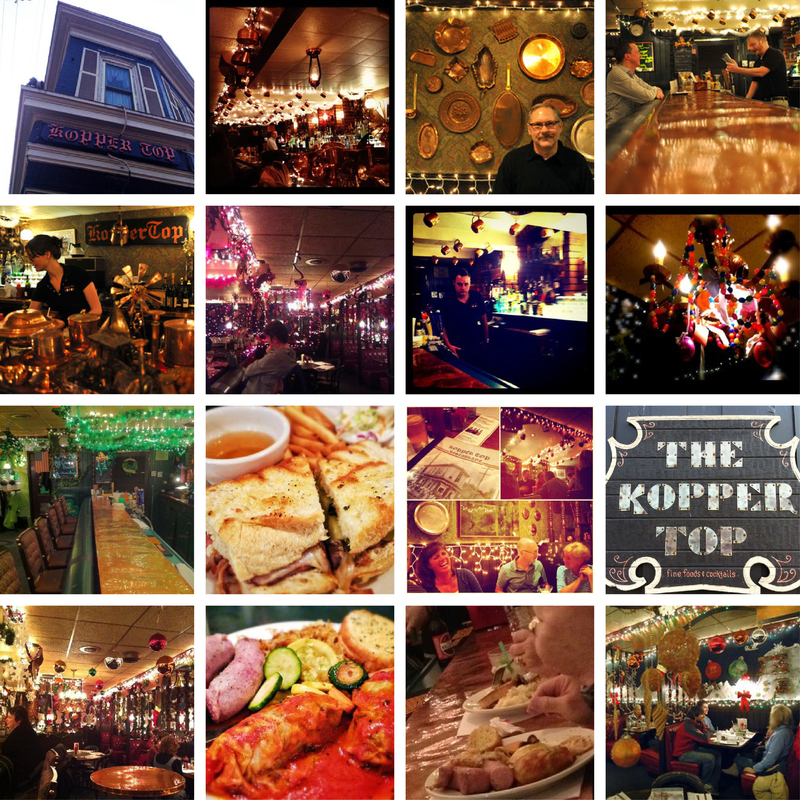 The Kopper Top made the best sandwiches in the city and most affordable sites for sandwiches in Grand Rapids. This was the only place to find a Muffaleta, and the only place worth going to for a Cuban. It was an experience, a strange venue of kitsch and comfort. For my first visit, I knew nothing about it, I stumbled upon The Kopper Top with friends and we walked in knowing nothing. Then we ate, and came back regularly until life drew us away from Grand Rapids. It’s failings were weird hours. I never knew when they were open, and several times I would drive to the Kopper Top only to find it closed. Considered a well-kept secret. I will forever consider it a failing of mine to not assist in spreading the name of the Kopper Top. This is a massive lost to the west side.In the spirit of making sure a beloved Grand Rapids business does not go under (not to suggest it is in any danger) Go to the Monarch’s Club across the street. It’s the best bar in Grand Rapids. A well-kept secret is worthless if it means it shares the same fate as the Kopper Top. The loss of the Kopper Top is a strike against the West Side. As Grand Rapid’s downtown and surrounding communities continues to grow and develop the West Side is being neglected (aside from GVSU territory). Below is a sampling of photographs and Instagrams I collected to hopefully give a sense of Kopper Top’s atmosphere. Michigan is an underrated and great brewing state. I believe Michigan is often overlooked as a great beer state since no single city dominates brewing. What Michigan provides is quality craft beer from top to bottom. Michigan breweries dominate stouts, no single concentration of breweries execute as many tremendous and varied stouts as Michigan. While wasting time and following a chain of links I stumbled upon the 10 best cities for Beer Lovers and happily saw Grand Rapids (along with Kalamazoon) receive recognition for their beer. I often find Michigan is overlooked in these lists. Particularly since these lists are often traps to shovel paid advertisements down our collective consumer gullet. (If you recall the horrendous Newsweek list ranking Grand Rapids as one of the cities) This list, however, was far better than GQs beer list in 2010 which ranked Chicago as one of the best beer cities by looking at numbers of bars and breweries alone without taking into account their quality. (No list of beer cities should be recognizing the Rock Bottom Brewery as a representative). Do yourself a favor and attend either the Summer or Winterfests and look at Craftbeer.com recognizing piece on Michigan Brewing. Now we just need more people to realize the overwhelming collection of fantastic brewing occurring here. Maybe I would be able to get more on the coasts.